Natalie Portman has also shown interest in the uber-modern Meier-on-Rothschild Tower, the Mail Online reports. Madonna is in talks over buying a luxury vacation home in the uber-modern Meier-on-Rothschild Tower, the Mail Online reports. The iconic 42-story tower is designed by Pritzker Prize-winning architect Richard Meier, whose previous achievements include the Barcelona Museum of Art and the Getty Center in Los Angeles. The 590ft-high glass, steel and white aluminum-clad block includes 141 apartments and penthouses, with private terraces. 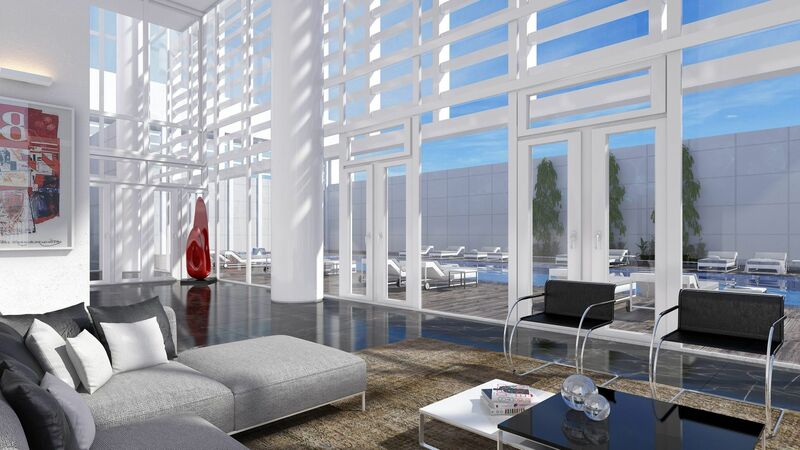 Meier’s modernist design was recently described by Forbes as one of the world's tallest luxury residential towers. Madonna was photographed with the development's brochure when the project was first announced in 2013, according to the Mail Online. As construction on the project is nearing completion, Madonna has reopened discussions over the purchase. Madonna’s ties with Israel are well known. The singer, also known as Esther, is a follower of kabbala and has visited Israel several times in recent years. She even opened her 2012 world tour in Tel Aviv. Citing a source close to the project, the Mail Online also reported that Israeli-born American actress Natalie Portman has also shown interest in buying an apartment in the building. The website reported that largest penthouse in the tower, named “the Palace in the Sky,” is on sale for £36 million (roughly $55 million). The 15,263 square feet of luxurious living space feature a private elevator, huge entertaining areas, a 12-seater dining room, a large kitchen/breakfast room, two terraces, a private gym, cocktail bar, cinema, mini-spa and a private outdoor swimming pool.